Hospital marketing — brute force, or what really matters? As a hospital marketing executive, you might have a few different business objectives that you’re trying to achieve, e.g., needing to change attitudes, acquire new patients or retain customers and defend market share. Either way, you need to understand what really matters to the people who are pivotal to your success. What really matters are the things that really matter. Not the brute force of hospital marketing which turns up uninvited and messages about hospital services, new pieces of technology or awards which people aren’t familiar with. These are the things that get ignored in the sea of hospital marketing sameness. 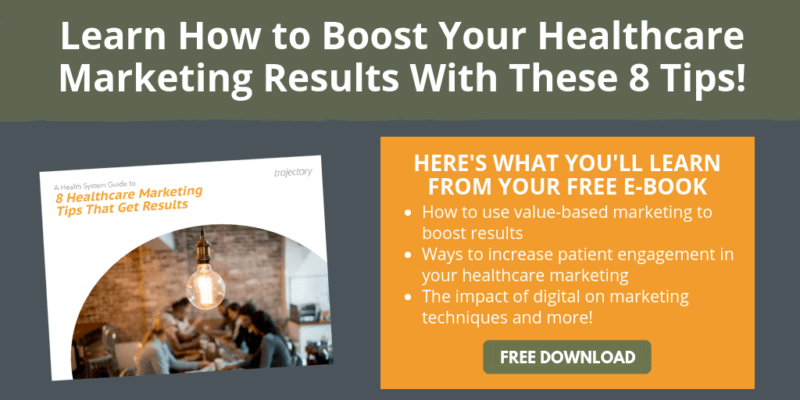 What consumers really want from your hospital marketing strategies are two things. First, to engage with them in simple, genuine and respectful ways. The same way people talk to other people. Second, and more importantly, for your brands to do things for them in ways that really matter in their lives. The things that help them to gain more confidence, overcome obstacles, celebrate personal victories, move them forward in ways beyond your competitors. That compel them to talk about you and share you with their real and virtual friends. The outcome is like two gears working together. Consumers who move your brand and business forward while your brand moves them forward. What if you were to approach your hospital marketing plan as Marketing As A Service. Which required your marketing to actively help or do work for people. The people whose attitudes you’re trying to change, acquire as new patients or retain to defend service line market share. Wouldn’t these kinds of hospital marketing ideas work harder to achieve your objectives than marketing through messaging. The concept of marketing as a service compels you to think about all the things your hospital marketing can do for customers beyond the campaign to make their lives better. It’s marketing that creates, offers and delivers value and genuinely satisfies an unmet need. It does this by expanding your creative canvas to an experience challenge, a business model challenge, a design challenge, an innovation challenge. In either of these cases, it’s hospital marketing that breaks through. Want to inject more utility and creativity into your hospital marketing strategies? Reach out to our healthcare marketing agency for a conversation.